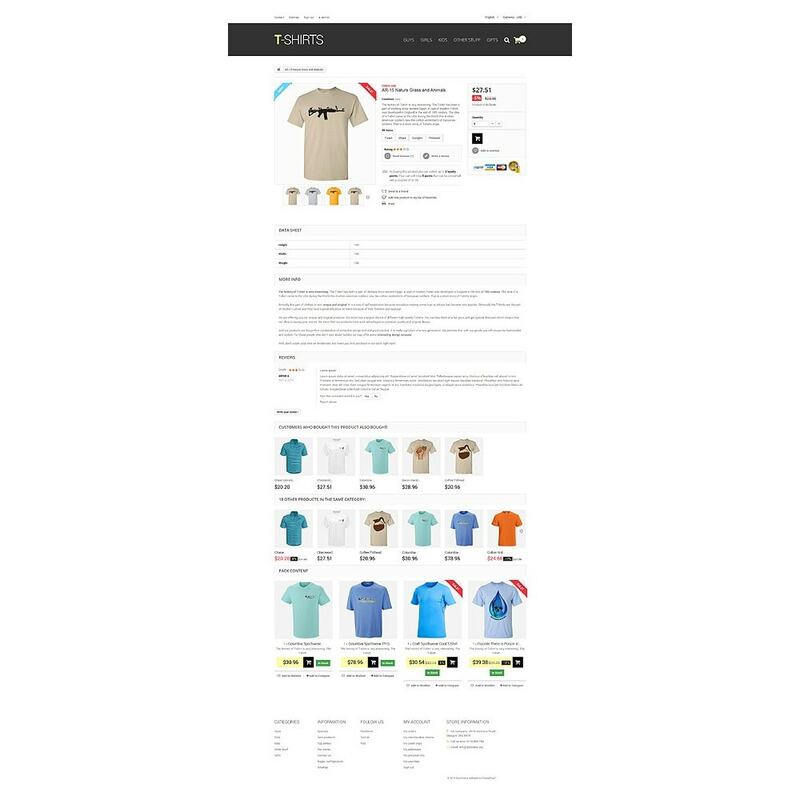 Consider this template for your T-Shirts store. 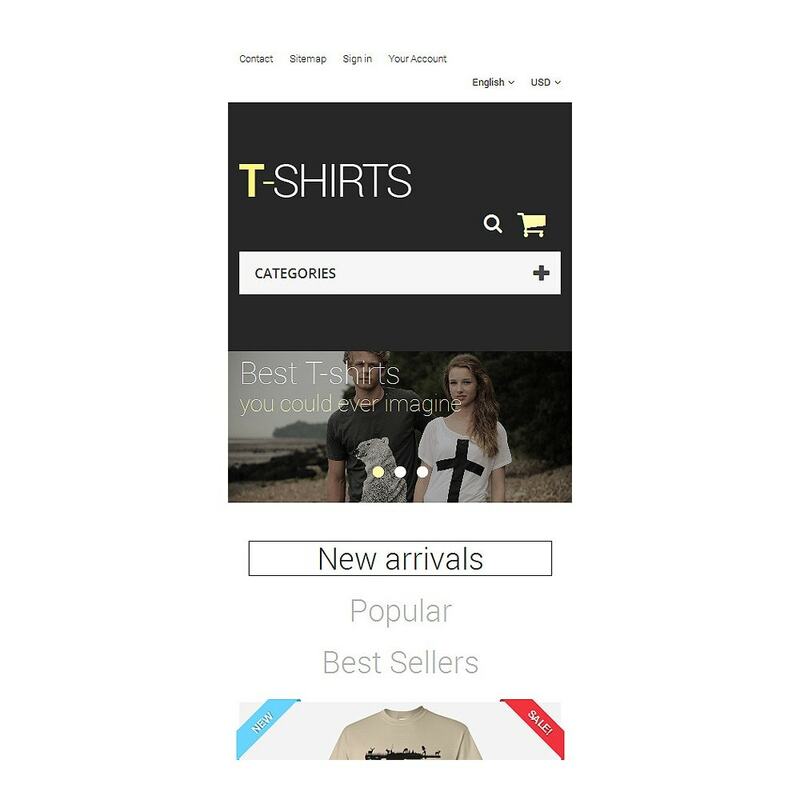 T-Shirt store PrestaShop theme cool design will be appreciated either by guys or girls. Drop down menu and footer links make the navigation extremely user-friendly. Search option will help the customers quickly find the item they wish. 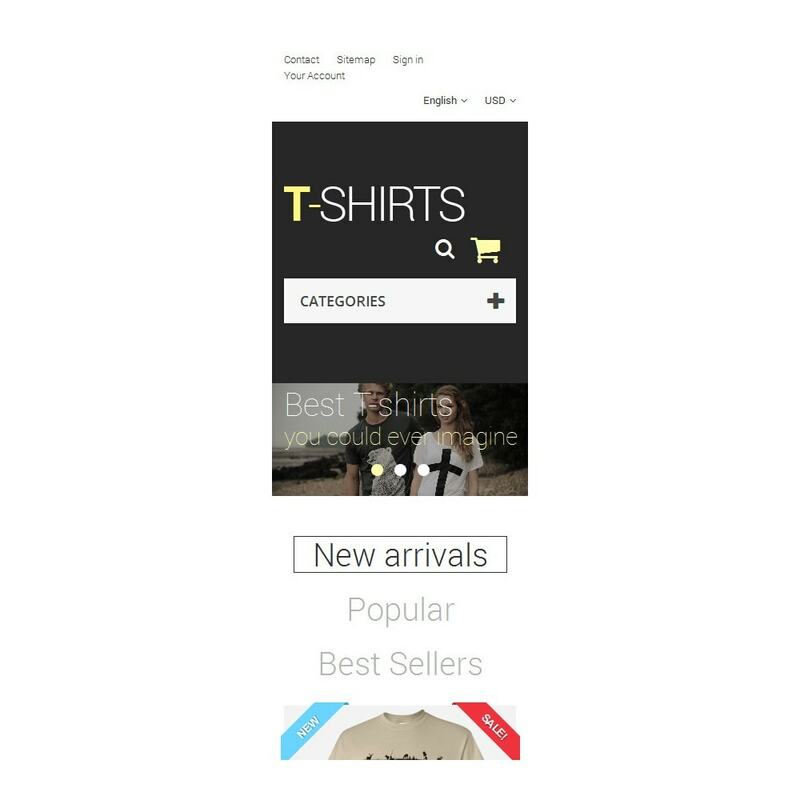 Slider features the best T-Shirts available at store and works like a hook to catch the buyer's eye. Featured products are placed in four column structure. There are three custom blocks for your additional information at the bottom of the page. 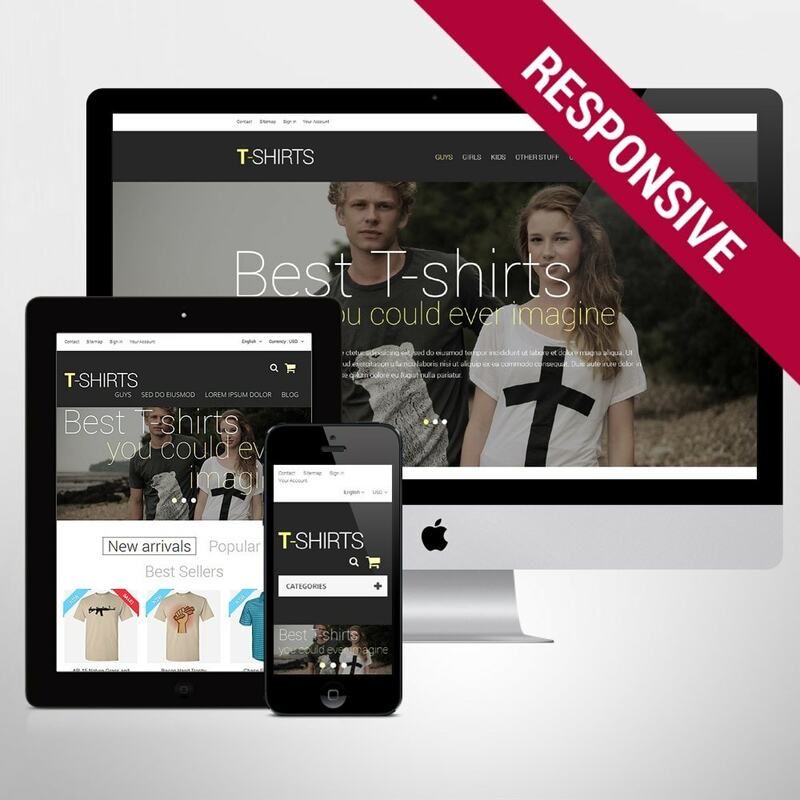 Choose this T-Shirts store design for your quick start on the e-Commerce market.